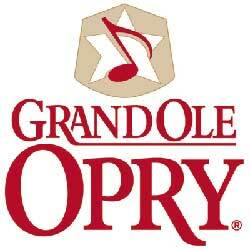 Some of country music’s favorite artists will be part of the excitement as the Grand Ole Opry® reaches the culmination of its months-long 85th birthday celebration with a two-day Birthday Bash Oct. 8 and 9. Featuring Opry performances by Trace Adkins, Crystal Gayle, Dolly Parton, Taylor Swift, and many more, the Bash lands just ten days after the world-famous Opry’s planned Sept. 28 return to the Grand Ole Opry House after having been displaced by flooding last spring. Renowned broadcaster Charles Osgood, anchor of CBS Sunday Morning and of CBS Radio Network’s The Osgood File will join the party Friday, Oct. 8. Osgood will take to the piano to be a part of the Opry’s I’m With The Band celebration which invites celebrities from all walks of life to sit in with the Opry band. Inducted into the Broadcasting and Cable Hall of Fame in 2000, Osgood joined the ranks of the National Association of Broadcasters Hall of Fame in 1990. The fan of several styles of music has received some of the highest accolades in broadcast journalism, including four George Foster Peabody Awards and three Emmy Awards. He has served as anchor and reporter for the CBS Evening News and the CBS Morning News and is the author of six books. Additional Opry Birthday Bash components are set to include backstage tours of the newly renovated Opry House; a Saturday afternoon salute to country comedy featuring T. Bubba Bechtol and Opry member Mike Snider; and a free Opry Plaza Birthday Party presented by Humana featuring a festival atmosphere of music, games, and more.